I am lucky in that Pimhole is quite easily accessible by a number of different transport modes. It’s only a 15 minute walk into the centre of Bury, where the Metrolink electric tram system connects me to most of the rest of the Manchester city region. Unfortunately bicycles aren’t yet allowed on the trams, but I am hoping that this will change at some stage. 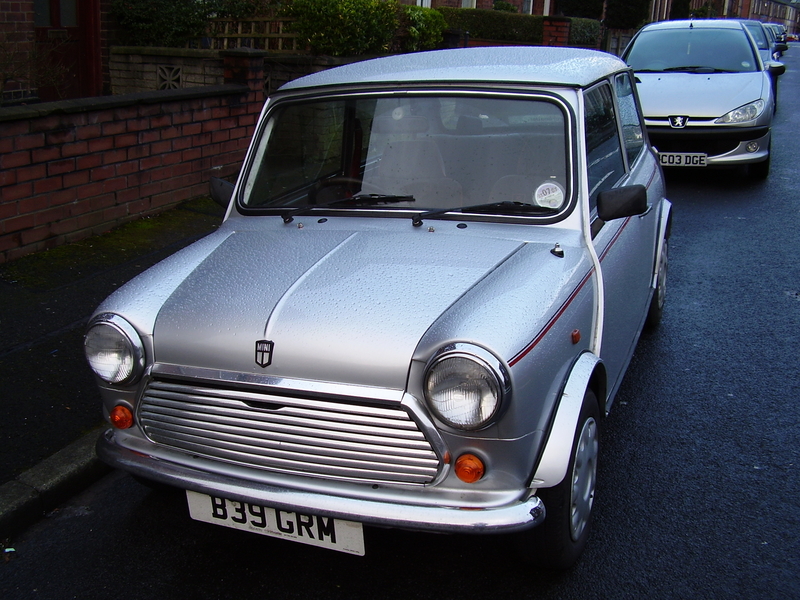 For unavoidable car journeys, I have an original Mini, a 1983 Mini 25 998cc, which has been lovingly restored by Minimaster in Penrith. And if I am feeling particularly decadent and luxurious, there is the East Lancashire Steam Railway which will take me to Summerseat and Ramsbottom. Not very green, but could be very sustainable post-peak oil! For sustainable local shopping, I am incredibly lucky to be 10 minutes’ walk from Bury’s “world famous” Market, where it’s possible to buy just about everything imaginable, from black peas to black puddings and everything in between.